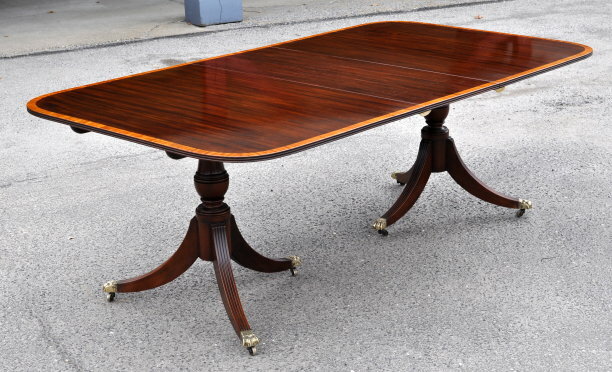 Fine sheraton style figured and inlaid mahogany double pillar dining table, with finely figured mahogany tops with satinwood crossbanding and triple reeded edge, tipping on urn form turned columns with three reeded sabre legs ending in brass paw casters, together with the single original leaf. American, late 19th century. 47" wide, 68" long, 86" long with leaf, 29 1/2" high.